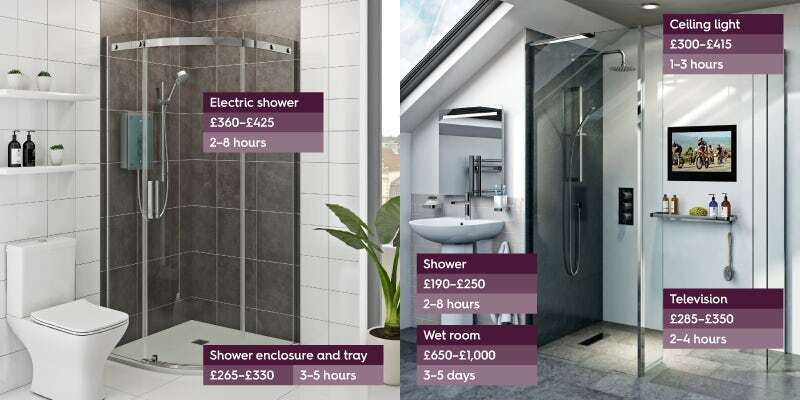 With updated estimated costs for 2019, in this article we’ll show you how much you should be paying to have your bathroom installed. 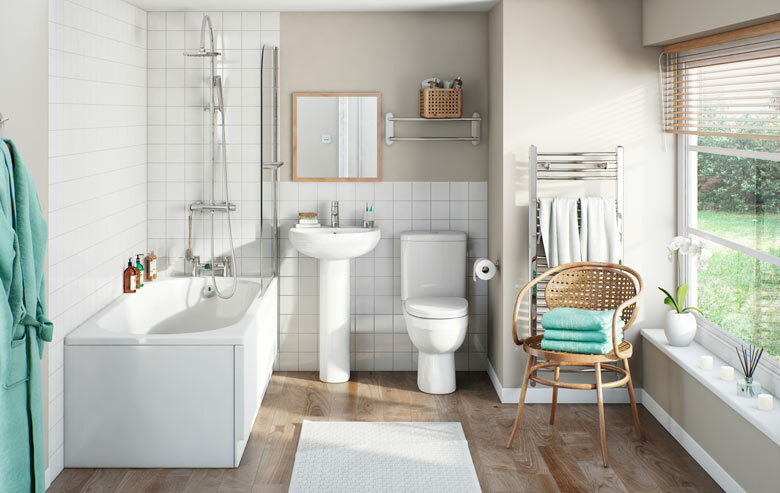 Choosing the right bathroom suite, along with your shower, taps, furniture and accessories is vital, especially if you’re working to a specific budget. However, you will also need to factor in other costs, as a recent report on Which? Local explained. The costs and job times stated should only be used as a rough guide. They can vary for several reasons (see below). How much is a bathroom suite? At VictoriaPlum.com, we know you care about the cost of your bathroom and the best way to keep those costs down is by buying quality bathroom furniture at a price that’s right. 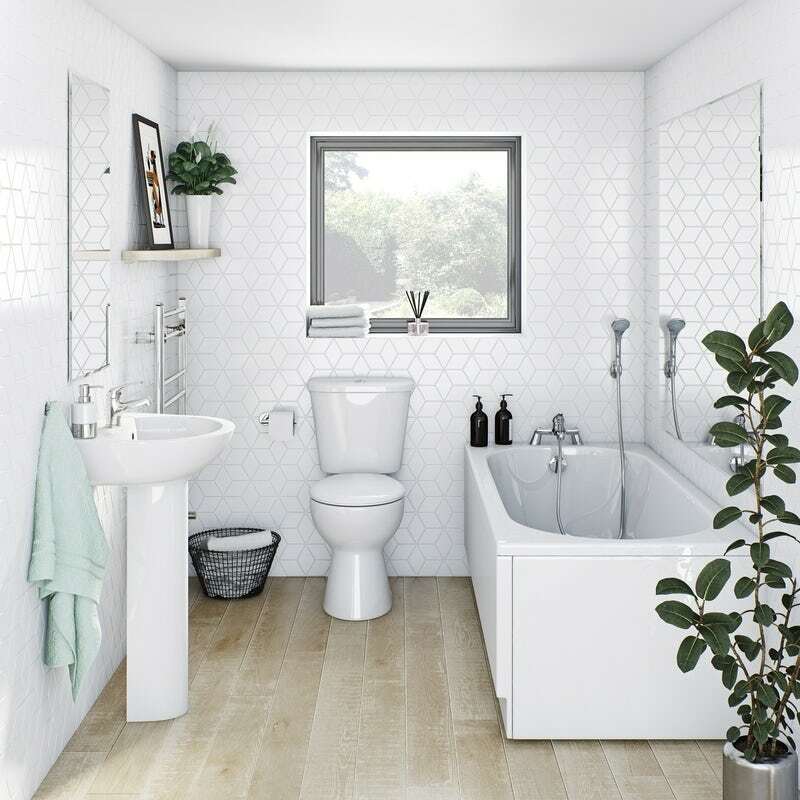 So take a look at our luxury freestanding baths, stylish basins and contemporary toilets all at low prices, to keep your new bathroom costs down. We have full bathroom suites (toilet, basin and bath) starting from as little as £179*, helping you to renovate your bathroom on a budget. While you can get a good evaluation of estimated costs when planning work on your bathroom, the end figure can vary. The recommended installers quoted a range of £100 to £140 for small jobs like fitting a pedestal basin while larger tasks such as tiling a large bathroom came in with an average fee of £1,000. 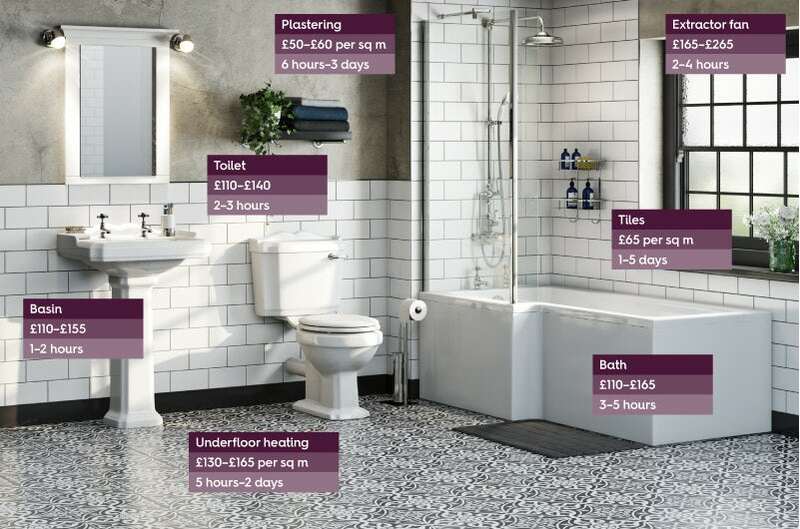 Overall the average cost of a new bathroom is £4,500 in the UK and this includes furniture and installation. But if you shop smart and compare prices, you can achieve a full designer bathroom installation for as little as £2,000 to £2,500. The reason why costs vary is that each job will need to be priced in relation to its individual circumstances. The size and shape of your bathroom will affect how easy a job is to complete, how long it will take and how much materials will be used. If there are unseen complications, such as damaged piping, then this will raise the cost of the quote. Costs can also increase where existing fixtures need to be removed, plus prices can differ across different geographical locations. No job in the bathroom is mess free and this throws up the question of waste disposal. Traders will dispose of materials for you but they have to pay business rates to do so. This means that if you’re only generating a small amount of waste then it could prove costly. The top tip here is to investigate whether you could dispose of any waste materials yourself for less money (e.g. by hiring a skip, using a waste bag or taking some of the waste to a local tip). If this is the case then why not suggest it to your workers? Last, but by no means least, the underlying message from Which? Local’s survey of bathroom installers found that quality is always the priority with any job. Just like at VictoriaPlum.com where we only stock high quality products made from the best materials, reputable installers will put the finish of the job at hand above everything else. It may cost you a little more to get a professional finish but surely this is something worth paying for? After all, a bathroom which has been installed correctly and looks great is more likely to last than one which has a “cheap and cheerful” attitude. 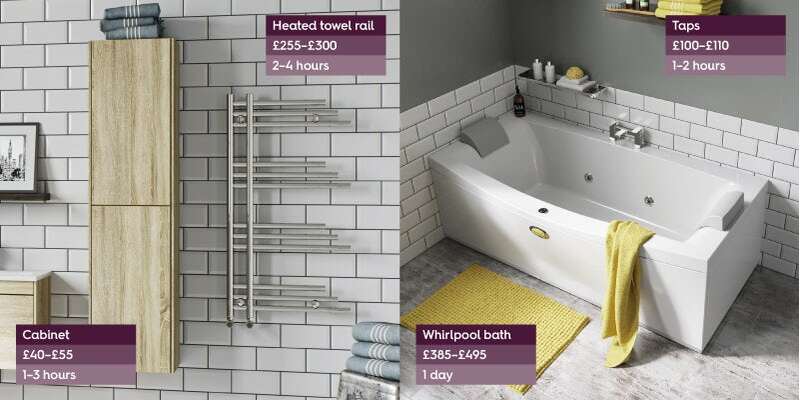 For a real-life case study, check out our blog post "Bathrooms on a budget" and find out how we managed to makeover a whole family bathroom for under £600! *Prices correct as of 05/04/2019. Prices may fluctuate. Follow us on social media for more inspirational posts and great advice for your bathroom. Click on any of the buttons below. Will not having a bath affect the price of my property? It is a commonly held belief that, in order to sell your property at the best price, you need a bath in your home. But is this actually true? We decided to investigate further by chatting with experts and looking into the options available to you. We asked the experts at MyBuilder.com to give us some handy tips and advice on hiring and assisting your tradesperson when fitting your new bathroom.